Short form square is designed to make learning the short form easier. Each technique is generally broken down into three’s. The whole form is done in a very square and linear manner. 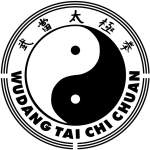 The roundness of Tai Chi forms is brought in later, once the student has mastered the form in square mode/style.